Does My Teenage Girl Need Help? Boise Girls Academy is a Christian boarding school uniquely equipped to help struggling teen girls who are spiraling out of control. We are a 15-month residential Christian boarding school with a unique approach. Because we have a small student base, we have a more hands-on, relational approach. We also have behind us the strength of Teen Challenge, with more than 50 years of history helping people with risky behaviors find freedom through a relationship with Jesus Christ. At Boise Girls Academy, we will not give up on your daughter. We will do everything to ensure she grows and flourishes here. We commit to show each girl the love of God through all the situations she is facing, and we will treat each girl as if she were our own daughter. For teens who have followed the negative influence of their peers in the past, the positive peer culture in our Christian boarding school for girls provides a refreshing atmosphere for constructive change. Girls learn to take responsibility for their own actions and to provide accountability for others as well. Weekly individual sessions with licensed counselors help girls correct faulty thinking patterns and face their problems in a constructive manner. As students begin to show responsibility, maturity, and positive growth, they will be rewarded with special privileges and increased responsibility. 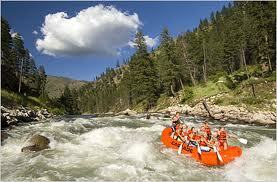 We enjoy the many recreational activities offered both in Boise and in our immediate surroundings. Residents learn to serve others and participate in the community through activities such as neighborhood projects, participating in food distribution centers, visiting senior centers, and sharing about Boise Girls Academy in local churches and organizations. Please contact us at (208) 375-4636 for further information. Let us help your teenage girl who is displaying risky behaviors through our specialized boarding school program set in a safe and loving environment. We have a limited number of placements available, so call us today! Boise Girls Academy offers a safe and encouraging living environment designed to bring about a change in a teenager’s thinking and actions. When teenage girls start spinning out of control, they usually exhibit many different signs which parents need to watch for. Unfortunately, many parents often write off these signs as normal adolescent behavior. As a result, they may not realize that their daughter is considering drugs/alcohol or participating in risky behavior. So, how can you as a parent know for sure whether or not your daughter is in danger? Do you need a boarding school for your girl? Boise Girls Academy is a boarding school for girls ages 13-17 with risky behaviors. We are the adolescent girls program of Teen Challenge Pacific Northwest, with all of the resources, training and remarkable history of success that Teen Challenge has enjoyed over the past 50 years. Boise Girls Academy offers a safe and encouraging living environment designed to bring about a change in a teenager’s thinking and actions. Christian boarding schools like this Teen Challenge school for girls in the Pacific Northwest offer behavioral help for troubled teen girls with teen counseling designed to improve behavior. At-risk teenage girls who are struggling with anxiety, anger, oppositional defiance disorder (ODD), attention deficit disorder (ADD), attention deficit hyperactivity disorder (ADHD), harmful decisions, promiscuity, depression, reactive attachment disorder (RAD), intermittent explosive disorder (IED), obsessive compulsive disorder (OCD), eating disorders, cutting and self-harm, or rebellion can benefit from Boise Girls Academy. If you are searching for troubled youth homes, troubled teen schools or troubled teen boarding schools, you have found one. Homes for troubled teens and boarding schools for teens don’t typically offer teen counseling and therapy, but we do. Among the top therapeutic schools, our therapeutic boarding schools are among best therapeutic schools with counseling – also referred to as “schools for troubled teens”. Such troubled teen schools and residential treatment programs for teens are often quite costly, but this one of few residential treatment centers and residential schools for teens that is affordable.